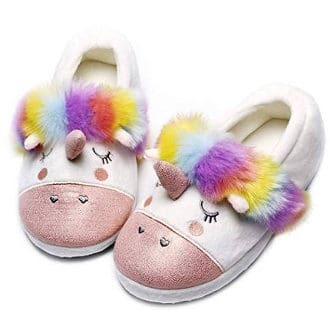 Whether you are in the hospital to give birth to a child, having a few tests done, or just had surgery, having a pair of good slippers while spending time in the hospital will help you to feel more comfortable. 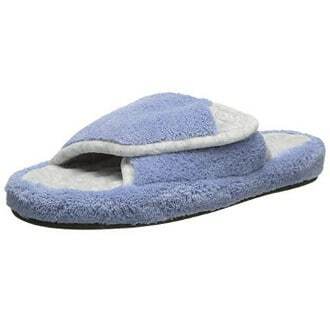 So, what are the best slippers for hospital for men and women? When choosing a good slipper for hospital, there are some specific features you may want your slipper to have. First, you may want it to be quite affordable since you may not use it again after coming out of the hospital. Also, the slipper should have a good grip to prevent you from slipping when moving around and especially when using the shower. 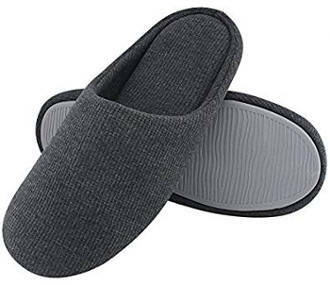 Some people, like to wear flip flops in hospital because they can be used both in and out of the shower and it´s a cheap solution, but if you are a senior and you want a comfy footwear, rubber flip flops won´t do. Other people prefer wearing slipper socks when they are in hospital because they are easy to wear, low priced, with a little cushion and grips on the bottom. They can also be washed afterwards or just thrown away. Nevertheless, it is not hygienic to use slipper socks both in hospital bathroom and bed. 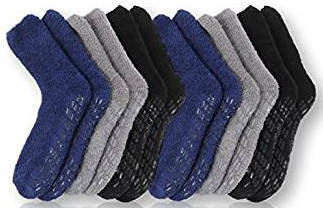 Also, the bottoms of some of these slipper socks is not grippy enough, so you need to look for slipper socks that are designed for hospital use. Another feature you may want to consider is the level of warmth of your hospital slipper. In our view, a good hospital slipper should be comfortable, lightweight, affordable with a rubber bottom and a good grip. 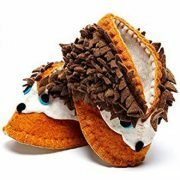 A slip on slipper that you can easily slide your feet in is another feature you may need. 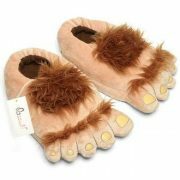 It is also up to you whether you want a slipper that is washable or not and how warm you want it to be. 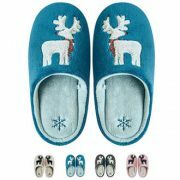 So, with those features in mind, let´s have a look at some of the best hospital slippers for men and women. 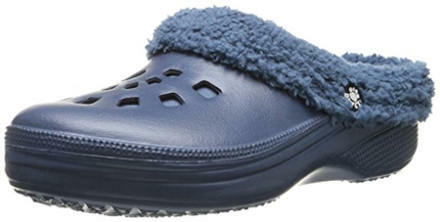 The Dearfoams quilted terry clogs have anti slip rubber soles and cushioning, which makes them ideal for hospital use. They come in several different colors and are machine washable, so they are great to wear once you get home from the hospital. 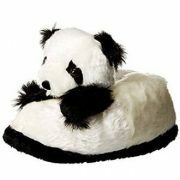 Users like the fact that these padded slippers won’t slip on floors while being comfortable and warm. They are durable, easy to slip on and off as well as easy to wash. 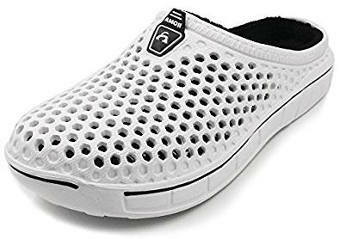 The Amoji Winter Clogs are made from a plastic foam material with a warm thermal insulation and a bit of arch support. They come in several colors and provide good air flow to your feet. The bumps on the bottom help keep you from slipping. 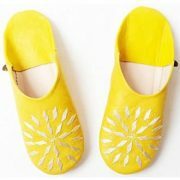 Users really like these clogs and find them to be sturdy, comfortable and warm. They are also extremely lightweight with soft lining and are easy to put on and take off. 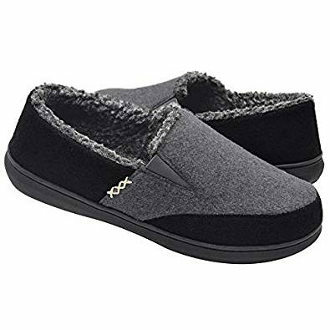 The Dawgs Women’s Fleece Clog slippers are great for use when spending time in a hospital due to the rubber soles, which provides great traction, and the removable fleece lining as well as gentle arch support. They are also easy to wipe clean. 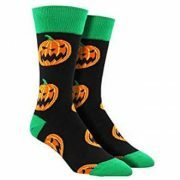 In addition, they absorb shock and are warm and comfortable. Users find that they ease foot pain and are sturdy. They also go on and come off easily, making them perfect for hospital as well as home wear. 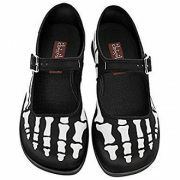 The Isotoner Women’s Terry Clogs are perfect for hospital wear as they consist of a fabric upper and an indoor/outdoor sole. They support your arch with their secret sole and they are machine washable making them ideal for home as well as hospital use. Users like that these clogs are solidly constructed as well as comfortable and warm. They are easy to put on and take off, and have great traction. In addition, they are easy to break in and stay on your feet well. 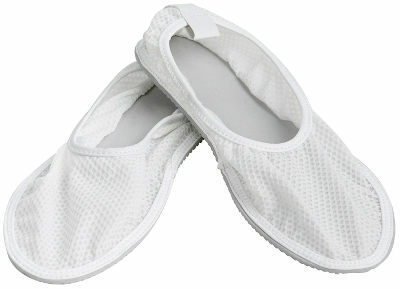 The UltraIdeas men’s knitted cotton slippers are lightweight with a foam insole. The TR rubber sole makes them more slip resistant while absorbing sweat. They also conform to your feet making them comfortable to wear. 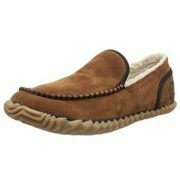 Users find this footwear to have nice cushioning and to be plush and warm, which increases the comfort. They also like that they are lightweight and washable. 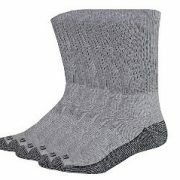 These slipper gripper socks are unisex style, very soft and stretchy. They are designed for hospital use but are perfect for home use as well. 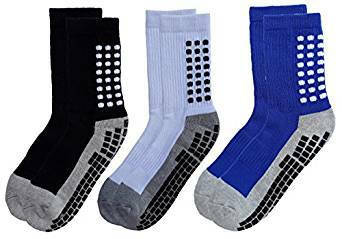 They are made of a cotton, polyester and spandex blend, and feature traction grip and gentle compression. Besides, they come in two, four and six packs. Users like these slippers socks because they grip great, fit very well and do not feel tight even on wider feet since they are expandable. Also, the grippers are thick as well as sturdy and go back to the heel. Overall, this product is very popular and there are many reviews that are very detailed about the many positive features it has. These hospital slipper socks for adults can also be used for your pilates or yoga sessions. They have great grip, ventilation and arch support. They are made of a knitted material which combines terylene and spandex, and do not get deformed after being washed in the washing machine. 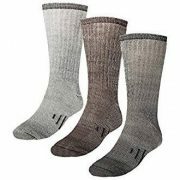 Users review that these socks keep their feet comfy and warm. Users love that they are skid resistant and most people find them snug but not tight. Nevertheless, they may not be so suitable for swelling foot issues since, according to some reviews, they are not expandable. Another positive feature people have mentioned is that they do not pull off in bed. These slip resistant shower slipper shoes are good for use in hospitals, nursing homes, dorms, hotels, gym locker rooms and even at home. 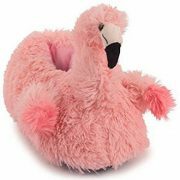 The upper features soft nylon mesh material with a higher back to prevent slippers from coming off and an expanded foot opening to assist an easy put on. In addition, there is neither a back seam on the inside nor a front toe seam. 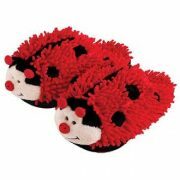 People use these slipper shoes for the shower or tub. They find them sturdy as well as lightweight and say that they dry fast. They can also be useful for walking on public floors such as hospitals. 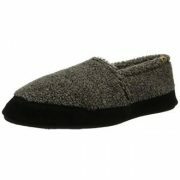 This cotton knit slipper is low priced but decent quality and great for the price. It looks pretty and is soft, flexible, lightweight, breathable and easy to clean. It keeps feet warm and the rubber outsole is waterproof and provides protection against slipping. The insole is made of flexible sponge, which feels comfy. 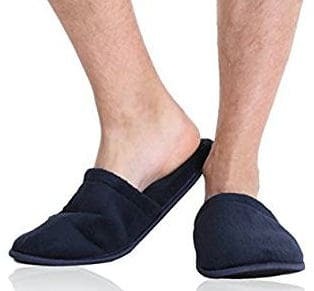 These extremely low priced men´s slippers are also designed for hospital use and are used in healthcare facilities, nursing homes, medical facilities and more. 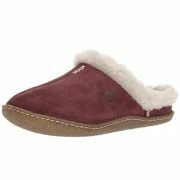 They are made of very soft polar fleece and are available in wide foot sizes as well. The foot bed features memory foam, which feels supportive, while the outsole has rubber dots. This footwear is easy to slip on and comes with a 100% money back guarantee. 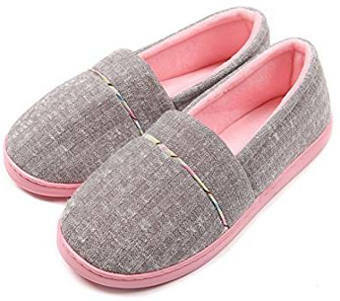 All in all, if you are looking for the best slippers for hospital for men and women, the above options should have provided you with some useful recommendations.